Suresh Kotagal, M.B;B.S. graduated from the Armed Forces Medical College in Pune, India. He completed a residency in Pediatrics at the Children’s Hospital of Michigan in Detroit, his Child Neurology training at Saint Louis University Health Sciences Center in Saint Louis Missouri, which was followed by a fellowship in sleep disorders medicine at Stanford University. He is presently a professor in the Department of Neurology at Mayo Clinic, Rochester, Minnesota and a consultant in its Departments of Neurology, Pediatrics and the SleepDisordersCenter. 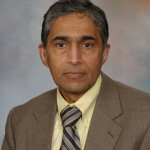 Dr. Kotagal has chaired the Divisions of Child Neurology and directed child neurology residency programs at both Saint Louis University and the Mayo Clinic. He has been the Councillor, Midwest Region and chair of the International Affairs Committee for the Child Neurology Society (CNS). Presently he is Secretary-Treasurer for the Professors of Child Neurology organization and an active member of the Legislative Affairs Committee of the CNS. Other national level responsibilities have included examining for the American Board of Neurology and Psychiatry, and membership of the program committee of the American Academy of Sleep Medicine. He serves on the editorial boards of Pediatric Neurology, Sleep Medicine and Sleep Medicine Reviews. Dr. Kotagal has made substantial contributions in the area of pediatric sleep disorders. His work has advanced the understanding childhood onset daytime sleepiness and restless legs syndrome. He has over 70 peer-reviewed publications, and has edited / co-edited four textbooks. Complaints about insufﬁcient or unrefreshing sleep are common in children. In a survey of 332 children, ages 11 through 15, Ipsiroglu and associates  observed 28% of them experienced snoring, insomnia, or episodes of unusual behaviors during sleep. In another survey of 472 urban and rural children receiving routine pediatric care, ages 4 through 12, Stein and co-workers  noted a 10% prevalence of sleep disorders. However, less than one-half of the parents had discussed the sleep problems with the child’s pediatrician. Childhood sleep disorders can have a signiﬁcant effect on quality of life. Also, many disorders are treatable. This fact underscores the importance of proper recognition and therapy. WHAT DO WE KNOW ABOUT NORMAL SLEEP? Sleep-wake regulation is accomplished through a complex set of interactions. There is a dynamic balance between the drive to stay awake and the pressure to fall asleep. This has been called the “flip-flop” switch of sleep. Adenosine, a chemical substance secreted by nerve cells, plays a main role in initiating sleep. Caffeine makes us more alert by lessening the effects of adenosine. Nerve cells in the region of the preoptic nucleus contain sleep-promoting substances, such as gamma-aminobutyric acid(GABA) and galanin. Sleep onset is also facilitated by melatonin, a light sensitive hormone that is released from the pineal gland. Nerve cells located in the hypothalamus produce hypocretin (orexin), a chemical substance that promotes wakefulness. Patients with the sleep disorder narcolepsy tend to sleep excessively because of low levels of brain hypocretin. A portion of the hypothalamus, called the suprachiasmatic nucleus, is the ultimate command center for the once-a-day (circadian) rhythm of sleep and wakefulness. The suprachiasmatic nucleus is strongly inﬁuenced by light-mediated impulses received into the brain from the retina of the eyes. The rhythm of body temperature is also regulated by the hypothalamus. A rise in body temperature leads to delay of sleep. Conversely, people are most sleepy around the the time the body temperature is at its lowest, which is around 4:00 am. An artiﬁcial increase in body temperature in the 1 to 2 hours before bedtime, such as through vigorous exercise, may make it difficult to fall asleep. N3 is also termed slow wave sleep and mostly occurs during the ﬁrst third of the night. Growth hormone release is closely linked to N3 sleep. Therefore, any suppression of N3 sleep stage may be linked with insufficient growth hormone release. Prior to the age of 3 months, the initial transition from wakefulness is into REM sleep. After this age, however, a child goes from wakefulness into NREM, with REM sleep occurring 90 to 140 minutes later. The usual sleep-onset time in elementary school-age children is usually around 8:00 pm to 8:30 pm. Towards adolescence, sleep-onset time becomes delayed and shifts to around 10:30 pm to 11:00 pm. Teenage girls generally have their ﬁnal morning awakening about one-half hour earlier than boys. When compared with early high school start times of around 7:30 am, it is easy to understand why most teenagers are commonly sleepy. WHAT ARE THE STEPS IN MAKING A DIAGNOSIS OF A SLEEP DISORDER? What time does the child get into bed? How much time does it take for the child to fall asleep? Is there a sensation of restlessness in the legs before sleep onset? Are there thoughts or worries that might interfere with sleep onset? Is there nightly snoring, mouth breathing, observed apnea, restless sleep, sweating, spitting up, sleep walking, bed wetting, scary dreams, or rhythmic abnormal behavior suggestive of seizures? Is there daytime irritability, inattentiveness, hyperactivity, or sleepiness? Some sleepy children show mood swings and hyperactivity. Does the child fall asleep involuntarily duing the day and, if so, for how long? Has the sleepiness affected grades at school or been associated with accidents or near-miss driving-related accidents? In adolescents, one should also inquire about activities performed close to bed time that can interfere with falling asleep, such as after-school employment, vigorous exercise, heavy meals, caffeine, cell phone use, computers, television, nicotine, and illicit substances. Children with restless legs syndrome may experience an urge to move their limbs. They may experience a feeling of “bugs or spiders crawling on their legs” in the evening hours with worsening of this discomfort if the limbs are kept still and relief felt with movement. Consultation with a pediatric otolaryngologist is required to exclude adenoidal hypertrophy. Inattentiveness, irritability, and mood swings can be clues to daytime sleepiness from an underlying condition like OSA. OSA related to brainstem abnormalities like the Chiari type I or II malformations can lead to hoarseness of voice, decreased gag reflex, and abnormal tendon reflexes. Muscle diseases like myotonic dystrophy may be associated with upper airway collapse combined with shallow chest and abdominal wall movement (obstructive hypoventilation). The parent-child interaction should be observed for clues toward parent behaviors that can enable insomnia in toddlers (i.e. anxiety or insufficient limit-setting). Home videos are invaluable in the assessment of abnormal movement patterns seen in restless legs syndrome, parasomnias, and nocturnal seizures. There are times when another test may be administered along with the nocturnal polysomnogram. For example, patients withDown syndrome, neuromuscular disorders, and obesity may exhibit shallow chest and abdominal wall movement with resultant carbon dioxide (CO2) retention. It is therefore important to simultaneously also measure levels of exhaled or transcutaneous CO2 levels in children. Addditionally, esophageal pH can be monitored simultaneously when there is a possibility of gastroesophageal reflux. 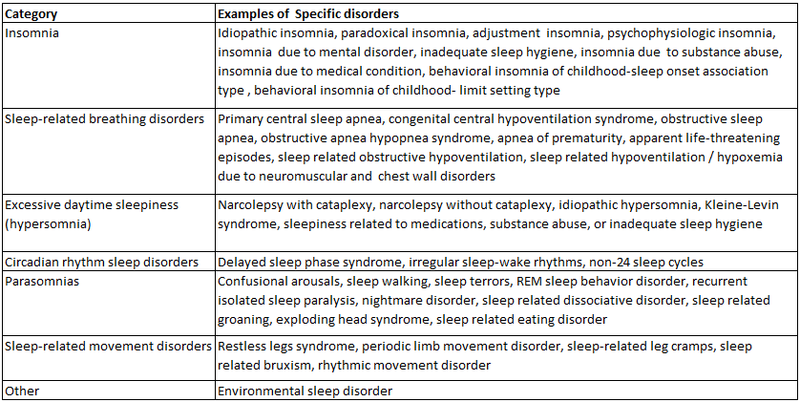 Criteria for the scoring of sleep and sleep-related events such as apnea, arousals, and periodic limb movements are available in literature. In patients with obvious upper airway obstruction secondary to obesity or neuromuscular disorders such as myotonic dystrophy, a therapeutic trial of positive pressure airway breathing can be attempted during polysomnography. A 16- to 20-channel EEG montage is recommended when it is unclear if there are parasomnias and seizures. Simultaneous video monitoring is standard for all nocturnal polysomnograms. There is limited evidence regarding the use of mobile, in-home polysomnograms, especially in the preschool age group. Traditional polysomnography in the sleep laboratory remains the gold standard in pediatric sleep medicine. The MSLT can reliably detect sleepiness under clinical and experimental conditions. The lower age limit at which one can utilize this test is about 6 to7 years of age. Application of the MSLT to children below age 6 years is unhelpful because even healthy pre-school age children tend to nap in the daytime. The MSLT must be preceded the night before by a polysomnogram. The MSLT consists of providing four or ﬁve daytime nap opportunities at 2-hour intervals, for example at 10:00a, 12:00p, 2:00p, and 4:00p. The EEG, chin electromyogram, and eye movements are monitored during each nap opportunity. The patient should be dressed in street clothes. A parent or guardian should be available to prevent the child from dozing off in between the scheduled nap times. At the start of each nap opportunity, the lights are turned off and the patient is asked to try to sleep. The time from “lights out” to sleep onset is measured. This time period is called sleep latency. A mean sleep latency is obtained from the four naps. The normal mean sleep latency is generally between 12 to 18 minutes. A mean sleep latency of less than 5 minutes shows severe daytime sleepiness. A value between 5-10 minutes indicates moderate daytime sleepiness. Normal values for the average sleep latency are avaliable in literature. Sleep latency is the time it takes a patient to fall asleep; measured from ‘lights out’ to sleep onset. A normal mean sleep latency is generally between 12-18 minutes. The occurrence of rapid eye movement (REM) sleep within 15 minutes of sleep onset constitutes a sleep-onset rapid eye movement period (SOREMP). It is important to note the presence of SOREMPs on two or more MSLT nap opportunities; their presence, along with a shortened mean sleep latency of less than 8 minutes, may indicate narcolepsy. Wrist actigraphy is useful in the study of insomnia and circadian rhythm disorders. In delayed sleep phase syndrome, wrist actigraphy results will show sleep onset late at night or in the early morning hours, followed by uninterrupted sleep, with ﬁnal awakening late in the morning or early afternoon. In patients being evaluated for suspected narcolepsy, two weeks of actigraphy before nocturnal polysomnography, along with the multiple sleep latency test help rule out a circadian rhythm disorder or insufﬁcient sleep at night. WHAT ARE SOME COMMON CHILDHOOD SLEEP DISORDERS? The spectrum of obstructive sleep apnea (OSA) in childhood ranges from snoring without sleep disruption (primary snoring) to classic OSA with hypoventilation (apnea, oxygen desaturation, plus retention of carbon dioxide). Between 10% and 12% of children snore on a habitual basis. The snoring sound is the result of vibration of the soft palate during inspiration (“breathing in”), as a result of air passing through a narrowed air passage. A study of 87 children of 5-7 years of age found that compared with similiarily aged, non-snoring children, those with primary snoring performed worse on psychologic tests of attention, had more social problems, as well as anxiety and depression symptoms. Community-based studies have determined the prevalence of childhood OSA at 1.1% to 2.9% . It is important to understand that some children with OSA do not have any craniofacial anomalies. Patients with Down syndrome, Prader Willi syndrome and achondroplasia are especially prone to develop OSA. Parental reports of snoring that is interrupted by silent pauses and then stops with snorting sounds is characteristic of OSA. This recognized pattern is caused by repetitive constriction of the upper airway during sleep. The upper airway constriction results in lower oxygen levels, which causes the child to awaken from sleep. It is this interrupted sleep pattern that ultimtately suppresses REM and N3 sleep pattern. Nocturnal polysomnography is not needed to conﬁrm the diagnosis in patients who already show the classic symptoms of OSA (i.e. marked tonsillar hypertrophy). One night of oximetry in the home environment indicating recurrent low oxygen levels is sufﬁcient for establishing the diagnosis in these patients. In the context of multiple neurologic handicaps, such as Down syndrome or cerebral palsy. When the patient needs to be considered for a nonsurgical treatment, such as a continuous positive airway pressure device. OSA secondary to adenotonsillar hypertrophy responds well to adenotonsillectomy. It is important to note, however, that patients younger than 3 years old and those with severe OSA should be monitored postoperatively in the intensive care unit. This careful watch is due to respiratory difficulties that may occur due to post-operative upper airway swelling. Patients should also be re-evaluated from the clinical and polysomnographic standpoint 2-3 months after surgery to ensure that OSA has resolved. Devices that provide continuous positive airway pressure (CPAP) should be considered if there is significant, residual OSA. Weight-reduction measures are indicated in obese patients. Orthodontic consultation and oral appliances during sleep are indicated in those with small jaw and displacement of the tongue to the back of the throat. Rapid maxillary distraction is a non-surgical technique that is used in OSA with associated high arched palate and narrow nasal passages. With central hypoventilation syndromes, polysomnography shows central sleep apnea, oxygen desaturation or low oxygen levels, shallow respiratory effort, and elevated levels of end tidal carbon dioxide. Except for surgical decompression in Chiari malformation and syringobulbia-associated hypoventilation, the management is similar to that of primary congenital central alveolar hypoventilation, which is discussed below. Congenital central alveolar hypoventilation (CCHS) is a disorder in which no obvious structural or biochemical explanation exists for why the child has difficulty in controling breathing during sleep. Onset of symptoms is during infancy or early childhood. The respiratory rate and depth are initially normal during wakefulness, but become shallow and slow during sleep (hypoventilation). Consequently, there is a high level of carbon dioxide and oxygen desaturation. The disturbance is worse in NREM sleep as compared to REM sleep. Nerve cells in various regions of the brainstem that control breathing may be under-developed. Between 15% and 20% of CCHS patients have coexisting Hirschprung’s disease or tumors, such as neuroblastoma or ganglioneuroma. Abnormalities in the PHOX2B gene have been identiﬁed in over 90% of patients with CCHS. PHOX2B gene abnormalities are transmitted in an autosomal dominant manner. imaging for neural crest tumors. The incidence of narcolepsy is highest in the second decade of life, followed by a gradual decline. Although the age of onset is generally between ages 5-15 years, rare cases with onset during infancy have also been reported. Childhood daytime sleepiness may be overlooked by parents, schoolteachers, and physicians alike because sleepy children can be mistaken for being “lazy.” They may exhibit mood swings and inattentiveness as a consequence of sleepiness. Cataplexy is present in about two-thirds of patients with narcolepsy. It is defined as the sudden loss of skeletal muscle tone in response to emotional triggers like laughter, fright, or surprise. The cataplectic muscle weakness generally lasts for a few seconds to minutes and is associated with muscle atonia, absence of muscle stretch reflexes, and full preservation of consciousness. Because cataplexy can be subtle, the examiner might need to ask leading questions about sudden muscle weakness in the face, jaw, neck, trunk, or lower extremities in response to laughter, fright, excitement, or anger. Fragmentation of night sleep is also common in narcolepsy. Secondary narcolepsy is rare, but may develop following a head injury and also in patients with deep midline brain tumors, lymphomas, and encephalitis. Additionally, obesity and precocious puberty may accompany the onset of narcolepsy-cataplexy in childhood. As compared to their peers living without narcolepsy, patients with narcolepsy are also more likely to exhibit depression and mild anxiety. The presence of the histocompatibility antigen DQB1*0602 in close to 100% of persons with narcolepsy, as compared with a 12% to 32% prevalence in the general population, indicates genetic susceptibility. However, this genetic component does not mean it is the sole cause of the syndrome. In genetically susceptible individuals, acquired life stresses like immunization, influenza, head injury, or infectious mononucleosis play a role in triggering the disorder. The nocturnal polysomnogram shows fragmented sleep, fairly quick transition into REM sleep, and absence of any other sleep disorder, such as obstructive sleep apnea. Periodic limb movements may be increased. During REM sleep, there may be persistence of tonic electromyographic activity. This phenomenon is called REM sleep without atonia. When persistence of electromyographic activity is combined with physical dream enactment (i.e. screaming, yelling or flailing of limbs), patients are characterized as having a REM sleep behavior disorder. During multiple sleep latency testing, sleep-onset rapid eye movement periods are seen during at least 2 out of 4 nap opportunities. Because narcolepsy is a lifelong condition, these diagnostic test results need to be clear and without doubt. Cataplexy is treated using clomipramine, protryptiline or sodium oxybate (gamma hydroxybutyrate). Sodium oxybate is administered in two divided doses or only at night; it seems to work by stabilizing nocturnal sleep architecture. However, there is insufficient data on its use in childhood. Emotional and behavioral problems that commonly accompany childhood narcolepsy may require the addition of anti-depressants such as ﬂuoxetine or sertraline. Supportive psychotherapy may also be a helpful treatment intervention. Adolescents should be counseled to not drive when they are experiencing sleepiness. Additionally, they should avoid work and social situations in which they could endanger themselves or others. There have been reports of improvement in narcolepsy-cataplexy following the infusion of intravenous immunoglobulin G, but randomized controlled studies have not been conducted. Experimental treatment efforts are focused on hypocretin replacement therapy, gene therapy, and cell transplantation. The Narcolepsy Network (www.narcolepsynetwork.org) is a private, nonprofit resource for patients, families, and health professionals. The National Narcolepsy Registry is another source of information at: www.ninds.nih.gov/disorders/narcolepsy. In a review of 42 patients evaluated at the University of Michigan over a 10-year period, Basetti and Aldrich observed that idiopathic hypersomnia began at an average age of 19 years. Almost half of the subjects described restless sleep with frequent arousals. Habitual dreaming was present in about 40% of the subjects. They mention that there is an overlap between narcolepsy and idiopathic hypersomnia. In a subset of children, idiopathic hypersomnia may represent a transitional phase en route to the development of classic narcolepsy. Restless legs syndrome (RLS) is a genetically transmitted disorder in which patients complains of a “creepy or crawling” feeling in arms and legs. The discomfort appears in the evening. It is exacerbated by keeping the limbs still and is shortly relieved by movement of the limb. There is also an urge to move the limbs. This discomfort interferes with sleep initiation and maintenance and may be accompanied by daytime fatigue, hyperactivity, or inattentiveness. A large population-based survey of over 10,000 families in the United Kingdom and the United States found a prevalence of RLS in 1.9% of 8-11 year olds and 2% in 12 to 17 year olds. Childhood RLS may be synonymous with “growing pains” in some children. On nocturnal polysomnography, the patient may or may not show periodic limb movements. These movements are deﬁned as a series of 4 or more rhythmic, electromyographically recorded movements of the legs. Dopamine deficiency: Some patients with RLS respond well to dopamine receptor stimulating medication (e.g. pramipexole and carbidopa-levodopa). This positive response suggests that there is a central nervous system dopamine deﬁciency. Iron deficiency: Because of iron’s relationship in the production of dopamine, there may be an association with systemic iron deﬁciency (in the form of low levels of serum ferritin). Iron is a cofactor for tyrosine hydroxylase, which is essential in the creation of dopamine. Attention-deficit disorder: In a community-based survey of 866 children ages 2 to 13.9 years, Chervin and co-workers found a relationship between hyperactivity and restless legs in 1 out of 9 children. This research suggestions there may also be an association between RLS and attention-deﬁcit disorder. Correcting iron deficiency with oral iron supplementation is an important part of a RLS treatment plan. Periods of compulsive hyperphagia hypersexual behavior, with subsequent 2 to 4 months of normal alertness and behavior. Binge eating, with an actual 2 to 5 kg increase in body weight. Incomplete forms of the syndrome have also been recognized. The multiple sleep latency test (MSLT) reveals moderate sleepiness. The episodes of sleepiness and apathy gradually diminishes over time, ultimately resolving completely over 2 to 5 years or evolving into classic depression. It may be a variant of depression. It may be a disturbance of hypothalamic function. It may be the result of an autoimmune response. Unfortunately, there is no satisfactory treatment for periodic hypersomnia. However, lithium has been reported to be effective in a case report. Modafinil may reduce the length of the symptomatic episodes. Circadian rhythm disorders are characterized by changes in the timing of sleep onset and offset relative to what society thinks is normal behavior. The basis for all circadian rhythm disorders is abnormal functioning of a molecular feedback loop between various time-keeping genes such as Clock, Bmal, Cryptochrome, and Period. Delayed sleep phase disorder [DSPD] is the most common circadian rhythm sleep disorder. DSPD was described initially in a medical student who was unable to wake up in time to attend his morning classes. Despite use of hypnotic medication, the patient was unable to fall asleep before the early morning hours. This tendency led to the mistaken diagnosis of insomnia. Sleep in the laboratory was, however, quantitatively and qualitatively normal. The delay in the timing of occurrence of the sleeping phase of the 24-hour sleep-wake cycle is due to a constitutional inability to prepone sleep, which in turn is secondary to altered function of the circadian timekeeping genes in the suprachiasmatic nucleus. The disorder typically begins in adolescence with a majority of affected patients being male. When making a diagnosis, it is important to rule out common behaviors that adolscents can demonstrate that may also cause the same symptoms of DSPD, such as school advoidances. A sleep diary and wrist actigraphy for 1 to 2 weeks is helpful in making a diagnosis of DSPD. Bright light therapy: “Bright light” therapy is helpful in advancing the sleep-onset time to an earlier hour. It provides 2,700 to 10,000 lux of bright light via a “light box” for 20 to 30 minutes immediately upon awakening in the morning. The light box is kept at a distance of 18 to 24 inches from the face. The phototherapy leads to increased alertness in the morning coupled with a gradual advancement (shifting back) of the sleep-onset time at night. Bright light therapy may be combined with melatonin that is administered about 5 to 5.5 hours before the required bedtime in a dose of 0.5 to 1 mg. Behavior change: Another therapeutic option is progressively delaying bedtime by 3 to 4 hours per day until it becomes synchronized with socially acceptable sleep-wake time (chronotherapy), and then adhering to this schedule. Over time, however, all delayed sleep phase disorder patients remain at risk for drifting back to progressively later and later bedtimes. Medication: Daytime stimulants, such as modaﬁnil, may improve the level of daytime alertness. The physician may also need to write a letter to the school, requesting a mid-morning school start time on medical grounds. WHAT IS THE RELATIONSHIP BETWEEN SLEEP AND EPILEPSY? The onset of sleep may be associated with increased electroencephalogram (EEG) spiking, as well as with an increased susceptibility for clinical seizures. Frontal and temporal lobe seizures are especially likely to occur during sleep. Interictal epileptiform discharges may be observed only during sleep. Nocturnal seizures are most likely to occur during stage N2, followed by N1, N3, and REM sleep (in that order). Unfortunately, a lack of sleep leads to activation of seizures, as seen in patterns of epileptiform abnormality. Even more, seizures also inﬂuence sleep by suppressing REM sleep, with a corresponding increase in slow wave sleep. Frequent nocturnal seizures also tend to disrupt sleep due to the number of arousals. For example, patients with Lennox-Gastaut syndrome frequently exhibit tonic seizures during sleep. Vagus nerve stimulation [VNS] has been found to result in shortened sleep latency, reduced N1 sleep and increased N3 sleep. Obstructive sleep apnea has also been observed after VNS. Landau-Kleffner syndrome: Landau-Kleffner syndrome is characterized by regression in language function, typically in the form of auditory verbal agnosia.This regression occurs in association with continuous epileptiform activity during both REM and NREM sleep. Continuous Spike Wave Stupor: Continuous spike wave stupor is associated with global regression of cognition. The sleep EEG findings are, however, similar to those of the Landau-Kleffner syndrome. Prolonged daytime and nighttime EEG may be needed to establish the diagnosis of either disorder. Intravenous lorazepam or diazepam may briefly suppress the epileptiform discharges. Long-term maintenance with valproic acid, or valproic acid combined with ethosuximide may be effective. Phenobarbital is associated with suppression in the proportion of time spent in REM sleep and increased stage N3 sleep. Phenytoin and carbamazepine also increase N3 at the expense of N1 and N2 sleep. Benzodiazepines increase stage N3 sleep at the expense of N1 sleep. Lamotrigine can increase in the proportion of time spent in REM sleep, with fewer sleep stage shifts. Felbamate has been reported to cause insomnia in some patients. HOW IS SLEEP AFFECTED IN NEUROLOGICALLY AFFECTED CHILDREN? The following discusses the effects on a child’s sleep when a particular neurologic disaability is present. Children with spastic quadriparetic cerebral palsy may exhibit daytime irritability along with fragmented sleep. This broken sleep pattern may be a result of frequent nighttime awakenings and low levels of oxygen related to obstructive sleep apnea (OSA). They may also have impaired central arousal mechanisms and be unable to compensate for apnea by changes in body position. These factors make OSA especially problematic for these children. Patients with Leigh syndrome display recurrent central apneas or hypoventilation as a consequence of brainstem involvement. Joubert syndrome is associated with periods of hyperpnea and panting respiration. Rett syndrome is characterized by deep, sighing respiration during wakefulness. Patients have normal breathing patterns during sleep. This is consistent with impairment of the voluntary cortical control of breathing and a normal automatic or brainstem control of respiration. Patients with Down syndrome have complicated sleep problems. They may develop OSA from the combination of a large tongue, midface hypoplasia, and hypotonic upper airway musculature. Additionally, there may be an element of hypoventilation and consequent retention of carbon dioxide due to shallow movement of intercostal and diaphragm muscles. With these difficulties, patients with Down syndrome have a sleep pattern that is disrupted and havedecreased sleep efﬁciency, increased arousals, andsuppression of N3 and REM sleep. Patients with achondroplasia may develop OSA in infancy as a result of macroglossia and mid-face hypoplasia. They may also have central sleep apnea as a consequence of cervico-medullary compression. These patients need close follow-up of their neurologic and respiratory function. Zucconi and colleagues found sleep-related breathing disorders in close to 75% of achondroplasia patients. Certain lysosomal storage disorders, such as the mucopolysaccharidoses or Hurler syndrome, have been associated with severe OSA. In these patients, OSA can resolve with surgical reduction of macroglossia or bone marrow transplantation. Patients with Niemann-Pick type C disease frequently manifest cataplexy from brainstem involvement, fragmented night sleep, and daytime sleepiness; occasionally there are reduced cerebrospinal fluid levels of hypocretin -1. Circadian rhythm disorders like irregular sleep-wake rhythms are common in patients with severe mental retardation andcerebral palsy. This tendency is especially common if there is associated blindness with impaired light perception. This impairtment may decrease melanopsin activation in the retinal ganglionic cells and consequent melatonin secretion from the pineal gland and the development of circadian rhythms. Many blind patients with complete lack of light perception fall asleep relatively early in the evening, are wide awake in early morning hours (3 or 4 am), or exhibit multiple periods of daytime sleepiness (i.e. irregular sleep wake rhythms). Melatonin administration and bright light, if light perception is intact, may be used to reset the sleep schedule in these patients. Parasomnias, such as sleepwalking, night terrors or sleeptalking, are unpleasant and undesirable events that intrude onto sleep. However, they do not alter sleep quality or quantity. These events may occur at the transition to sleep, during REM sleep, or at the time of shifting from N3 sleep into the lighter N2 / N1 sleep. The incidence of parasomnias is variable. Thirty percent of children have at least one episode of sleepwalking. Sleeptalking is noted in about half the population. Frequently, the patient is unaware of the events. Medical attention is sought, however, due to disruption of the other family members’ sleep or after serious injury to the patient. Most NREM parasomnias subside spontaneously by 10-12 years of age.  Confusional arousals are seen most often in toddlers.  Sleepwalking and sleep terrors may occur throughout the ﬁrst decade of life.  Flushing and sweating are minimal to absent.  The events generally last 5 to 30 minutes, after which the patient goes right back to sleep and has no memory of the events.  Patients with night terrors and sleepwalking may exhibit ﬂushing of the face, increased sweating, inconsolability, and agitation. When these patients awaken in the morning, they do not remember the event.  In all NREM parsomnias, a concurrently obtained electroencephalogram (EEG) will show rhythmic activity in the 2-6 hertz range, consistent with partial arousal from slow wave sleep. A low dose of clonazepam is helpful in preventing most NREM parasomnias. In some NREM parasomnias, the partial arousals may be triggered by underlying sleep apnea, restless legs syndrome or gastroesophageal reflux. If so, treatment of these underlying disorders will help alleviate parasomnia. Environmental safety measures, such as installing a deadbolt lock on the door, may be effective for patients with habitual sleep walking. Nocturnal frontal lobe seizures can sometimes mimic NREM parasomnias because of arousal and hypermotor behavior. In general, however, the seizure events are shorter in duration (often 20-30 seconds). They show more prominent head segment automatisms, such as lip smacking, eye deviation, or chewing. Further, the patient may have partial memory of the event and a headache upon awakening in the morning. In contrast to the 6 channel EEG montage that is utilized in standard video polysomnography, the study of suspected parasomnias in the sleep laboratory calls for a full 16-channel EEG montage to help distinguish seizures from parasomnias. Rapid eye movement (REM) sleep parasomnias, such as nightmares, occur during the REM cycle of sleep. Since REM sleep is most abundant during the ﬁnal third of night sleep, these parasomnias tend to occur during the early morning hours. The REM sleep behavior disorder is characterized by actual motoric dream enactment during which the patient might kick, jump, or struggle against an imaginary attacker. This response is a result of failure of the usual inhibition of skeletal muscle activity by the medullary nucleus reticularis gigantocellularis that occurs during REM sleep. The nocturnal polysomnogram reveals increased phasic electromyographic activity during REM sleep. Although REM sleep behavior disorder is relatively infrequent during childhood, some cases do occur. Treatment with clonazepam is effective in preventing most REM parasomnias. Sleep-wake problems occur in 40 to 80% of children with autism. Problems with sleep often develop early, around the same time as onset of developmental delay. It does not seem to affect one gender over the other. Sleep initiation and maintenance difficulty is the most common complaint. There seems to be many reasons for insomnia in autism. To begin with, children with autism have difficulty with self-regulation of emotions. They may also experience difficulties with understanding parental directions and verbalizing their fears. Therefore, the memory of exciting or upsetting experiences from earlier in the day may linger right into bed time and, at times, even through the night. Parents may inadvertantly contribute to sleep initiation and maintenance difficulties by resorting to behaviors such as rocking the child to sleep or holding the child in their arms till sleep has ensued, at which point the child is placed in bed. There is consequent habit-forming to these behaviors. For example, upon awakening in the middle of the night, it is hard for the child to fall back to sleep without once again being held or rocked. This condition is termed sleep-onset association disorder. Co-morbid seizures can also disrupt sleep, as can medications like benzodiazepines, phenobarbital, and felbamate that are sometimes used for treating seizures. A genetic susceptibility region for autism has been localized to the long arm of chromosome 15. This region also expresses a variety of GABA related genes, the disruption in function of which might predispose to insomnia. An alteration in the timing of release of melatonin in autism, with low levels at night and higher levels in the daytime, has also been reported. Systemic disturbances, such as gastroesophageal reflux, could also contribute to sleep initiation and maintenance difficuty. The clinician should try to determine if the daily schedule of the autistic child is overly difficult. Such a schedule can lead to excitement and anxiety. If so, simplifying the afternoon and evening regimen and sticking to a consistent, simple evening schedule may be used. This schedule should include 30-60 minutes of quiet time before bedtime. Postponing bed time by about an hour, avoiding daytime naps, and removing stimuli that can excite behavior or graduated extinction techniques may also be helpful. A child psychologist’s counsel in developing these schedules may be useful. Medications may also be used. Controlled-release formulations of melatonin provided at bedtime in a dose of 3 to 6 mg are used empirically. Clonidine can be used for its anxiolytic effect. Risperidone, administered in low doses, may have a calming effect on the child as well. Higher doses of risperidone should be avoided as its dopamine antagonist effect can cause restless legs syndrome and further disrupt sleep. The combination of behavioral techniques and melatonin administration has also been recommended. Nocturnal polysomnography is technically challenging in children with autism and generally shows non-specific abnormalities of sleep fragmentation. Unless there is a strong suspicion of obstructive sleep apnea, it is usually not needed. Two weeks of actigraphy and parental logs of sleep wake function generally yield useful information about sleep latency, sleep onset time, and total sleep time. Brouillette RT, Morielli A, Leimanis A, et al. Nocturnal pulse oximetry as an abbreviated testing modality for pediatric obstructive sleep apnea. Pediatrics 2000;105:405. Kotagal S. Sleep-wake disorders. In: Swaiman KF, Ashwal S, Ferriero DM, editors. Pediatric neurology: principles & practice. 4th Edition. Volume II. Philadelphia: Mosby Elsevier; 2006. p. 1225-37.